Have you been thinking about cleaning up the trees that have taken over your yard? You may notice hanging branches, leaning trees, and possibly even dead trees that need to be completely removed. Our team of professional arborists are here to assist you. We have been taking care of trees in Southern Maryland for years. Our tree specialists are keenly aware of any distressed tree that can be cared for and every branch that needs to be taken down before causing damage to its surroundings. TREE TRIMMING – Allow us to help you trim up the unwanted tree branches that are crowding out the beauty of your home. We’ll get your home’s appearance looking better and allow more sunlight to reach your home. TREE REMOVAL – Weak trees can be dangerous for your home and its surroundings. Call us to completely remove trees that could potentially put your property and your family in danger. STUMP REMOVAL – Some companies only cut down trees, but we can take out the stump completely, which allow you to use the once occupied space. FALLEN TREE REMOVAL – Even though it has already fallen, you still need a professional with the right equipment to remove it from your property. We are your guys, we’ve got all the right tools to remove the fallen tree safely and quickly. Almost all of us own a chainsaw for those 911 moments when a branch falls across our driveway just when we need to leave. Cutting a fallen tree into pieces is way different than trimming branches, or chopping trees completely down. Amateur tree cutting techniques are extremely dangerous for the average joe to be performing. Without skilled knowledge and a trained background of knowing what you are doing, can leave you with potentially fatal results. Branches or tree might fall the opposite direction & land on house, garage, ect. The Southern Maryland Fellers are here to get the job done safely and efficiently. 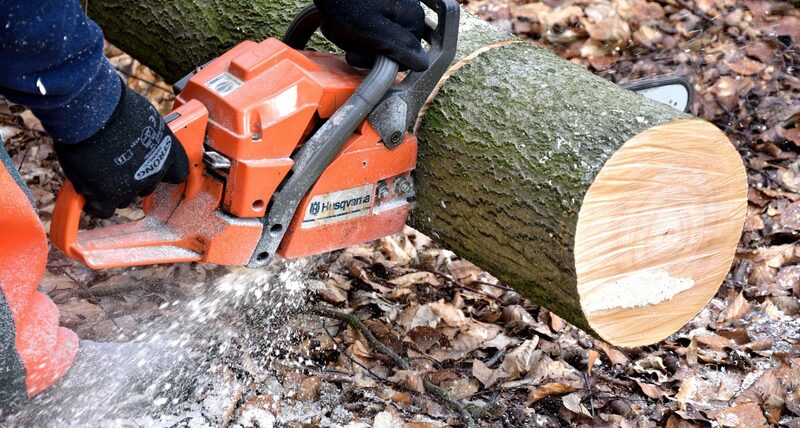 We have the team and the equipment needed to remove any unwanted trees and stumps. Call us when your in need of a trustworthy local tree servicing company! Top notch equipment! They know what they are doing! One of the top tree cutters in the county. I trust my business with companies that have been around for a while, and with at least 15 years under their belt, they are great!